When you are chronically sick socialising can take a back seat. Either because you are too sick to visit friends or too ill to have them visit. Social networking sites can be a great way to catch up with people but it will never replace the joy that is felt when mixing with real people. For those of you who follow my antics on my “The Myasthenia kid” page on facebook between blog posts you will be well aware that I am currently getting over some serious socialising. Last Saturday night (7th June 2014) my husband and I held a house party. Nothing too raucous, just 9 friends over for a bbq and some booze. We had planned this party for a couple of months and called it our “40 1/2 birthday party” as a bit of a laugh. My husband managed to get the day of the party off work and basically did all the cleaning and prep work for the party to ensure that I rested as much as possible during the day so that I could enjoy myself during the evening. The insomnia gods were not on my side last week, two nights were spent without sleep one of them being the night before the party. Due to the bad storm in the early hours of Saturday morning, even without the insomnia I wouldn’t have slept as my three hounds are absolutely terrified of thunder and lightening.I did try to get some sleep once the storm had passed but it wasn’t to be, I managed to go 24 hours without sleep. How I got through the party I will never know. If it had involved leaving the house at all, I would have in all honesty cancelled. Not only had I gone without sleep but over the last week my bowel adhesions have started to kick off and on Saturday my stomach started to bloat with gastroparesis. It doesn’t make for a glamourous look and by 1030pm I had changed into my yoga pants, snuggle top and a pair of slippers. I know how to rock the party look. 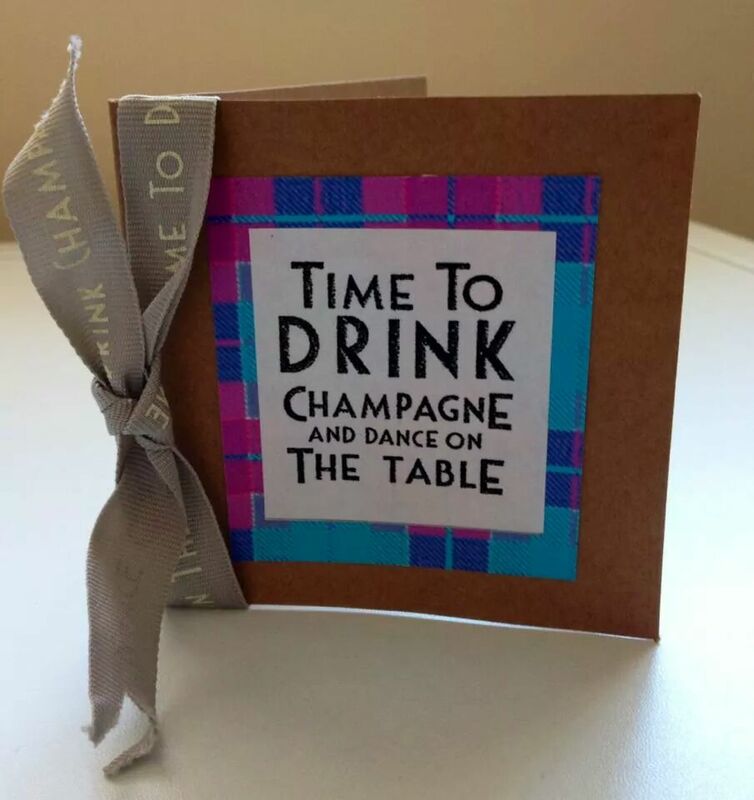 My guests were brilliant, they may not know or understand what is wrong with me – I display no outward signs, like many others with an invisible illness but they all pitched in getting their own drinks, tidying up their plates and rubbish and telling me off when they felt I was doing too much. Thats the kind of guest I like at my party ones who help and don’t sit back expecting to be waited on hand and foot, purely because these days I just cant do that. No one said a word when I changed into my casual gear after looking so glam, all they want is for me to enjoy myself and relax in their company. Friends like that don’t come into your life too often! What my friends won’t see is the length of time it will take me to recover from the party. It could take weeks or even months such is the severity of the arse kicking my body will give me for enjoying myself. Much of yesterday was spent asleep. Today so far has been spent lying on the sofa. Luckily hubby has a late start today and hes done all the household jobs he could fit in before he left for work. I am thankful for his late start today even if it means he wont get home until after 10pm because it means I can lie in bed all day and not feel guilty for not spending time with him. The guilt I feel is enormous when I spend time away from him, in bed when he is home. In preparation for the party I ensured Mondays blog post had been completed the week before. I naively thought I would be ok after the party (I never seem to learn) to write Thursdays post ( today’s post) during the week. I feel so awful I have scrambled together this post to ensure something is published whilst I recover! Every part of my body hurts and on Saturday night it was no different such is the consummate professionals performance. I quietly topped up my painkillers on a trip to the loo, I injected my octreotide without drama, my only concern being I was wearing a white top and if it bled ( as it sometimes does) I may have to explain the stain. The only sign that I was flagging was getting changed out of my party gear and the wedge shoes that I swear were crafted by the devil himself. Even sitting down those shoes were killing my feet! I am a fashion victim and theres not a woman in the world who hasn’t endured pain to look good! At least I have my shellac nails to remind me of what a good time I had. On the morning of the party I treated myself to a manicure and pedicure, partly because I wanted to look nice and partly as a way to stop me using up too much energy panicking that the house was tidy for the party. It did take up a lot of energy and by the time my toenails had been painted my legs were shaking with fatigue caused by holding them in the same position. Its silly things like this that remind you how sick you really are no matter how many times you try to convince yourself and the outside world that you aren’t. I love socialising and seeing friends, my body doesn’t and that’s the choice I make. To put up with my body wreaking its revenge on me for trying to be “normal” for once. Sometimes it feels like too higher price but I will never give up. 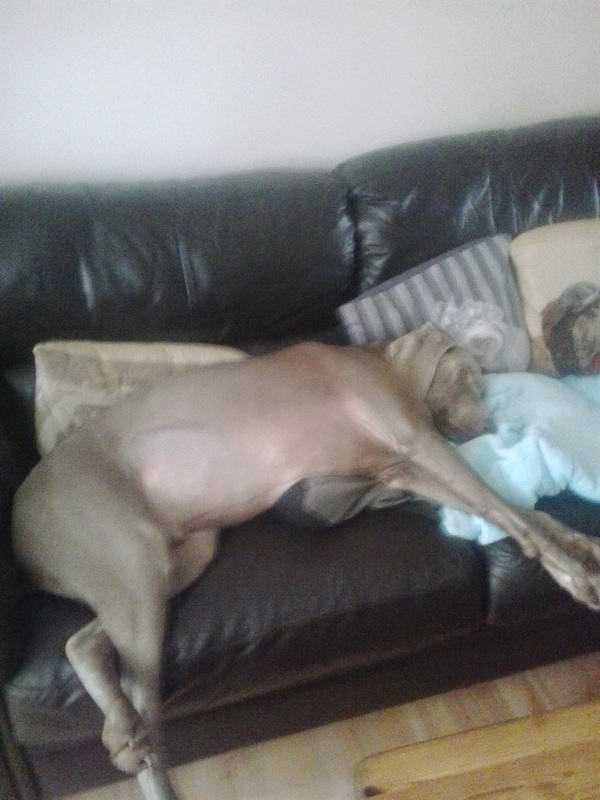 Frankie feeling a bit like me after the party! 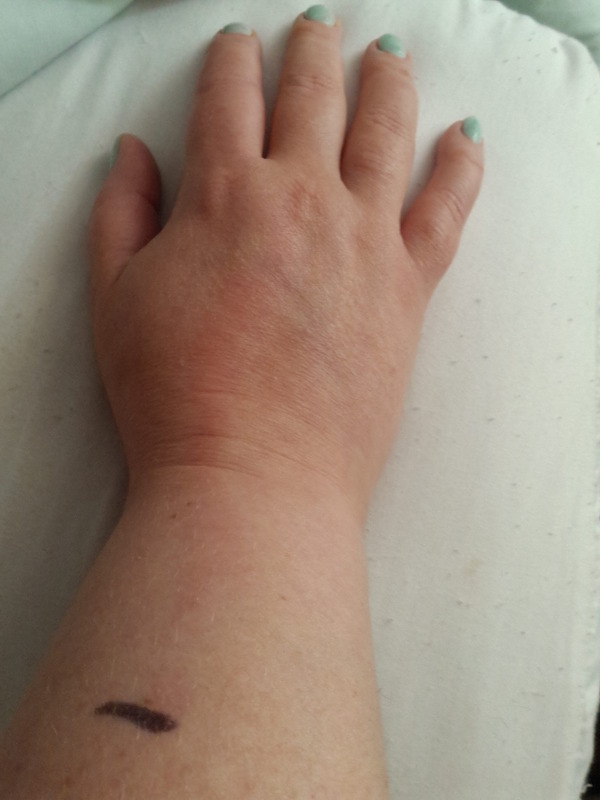 A quick update : Tuesday 10th June, I have now developed cellulitis in my right hand, first finger so I am back on antibiotics. Having spoken to the dr she thinks my immune system is very low at the moment and hence why I am struggling to get rid of the cellulitis. I am back on antibiotics and now have a skin lotion that is antibacterial to apply three times a day. If I am honest I am feeling a bit sorry for myself! ← “well if you’re that f**king disabled get off facebook and take up knitting”. I can relate to you quite a bit. I have Marfan’s and get tired very easily, as well as being a little anti-social, so to have big parties around holidays and things like that tend to wear me thin — I love socializing with friends and family but I can only handle it for so long. My husband has Fibromyalgia and a bad back and has social anxiety, so he really has to prepare himself and hype himself up so that he has the energy to socialize and deal with lots of people, but then for a few days afterward he and I end up keeping to ourselves and staying in our room for the majority of the days decompressing. I’m glad that you had a good time and that your guests were understanding and very helpful! It sounds like you’ve got some pretty awesome friends. Thanks Ashie, I am still recovering one week down the line and a bout of cellulitis thrown in for fun! We throw parties about twice a year just so that we can all catch up with each other. Most of my socialising is done one on one with friends who don’t care if I lie down whilst I am talking to them! I would love to hold more parties but I think I would just spend my whole time getting over them, which I don’t mind doing once in a while but I couldn’t do it all the time.